Are you worried about your MBA admission? Not sure which Business schools to apply to? Do not worry, for we have carefully indexed and ranked MBA programs in top MBA colleges in Odisha. Whether you are aiming for your MBA in finance, marketing, HR, IT or in any other specialization; most of these B-Schools give the best business schools in the world a run for their money. The top ranking MBA colleges include not only the Indian Institutes of Management (IIMs) but also some of the other university-affiliated and private MBA colleges which are doing much better than many of the newer IIMs. The best B-schools and a number of IIMs have a similar fee structure, but some of the newer IIMs placements, admission process and the average salary in placement tend to lag behind a number of these best MBA colleges. This exhaustive list of top colleges to pursue your management education from has been compiled after comprehensive research of MBA universities and colleges by our panel of experts. 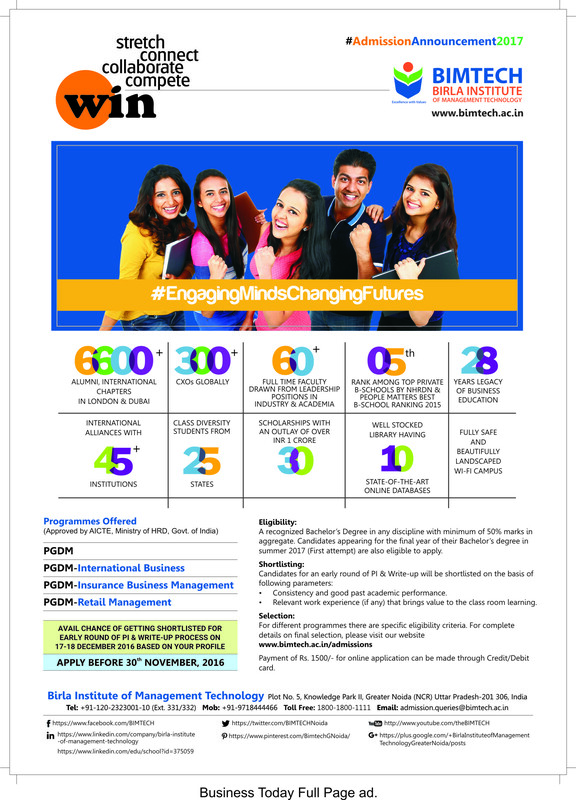 Odisha is one of the more popular destinations for management students in India. Hitbullseye ranking of top MBA Colleges in Odisha helps you decide which institutions you should be focusing on for your MBA admissions.